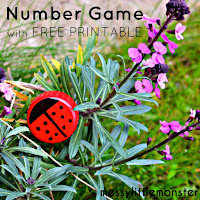 This fishing number game is a perfect activity to accompany the nursery rhyme '1, 2, 3, 4, 5 once I caught a fish alive'. 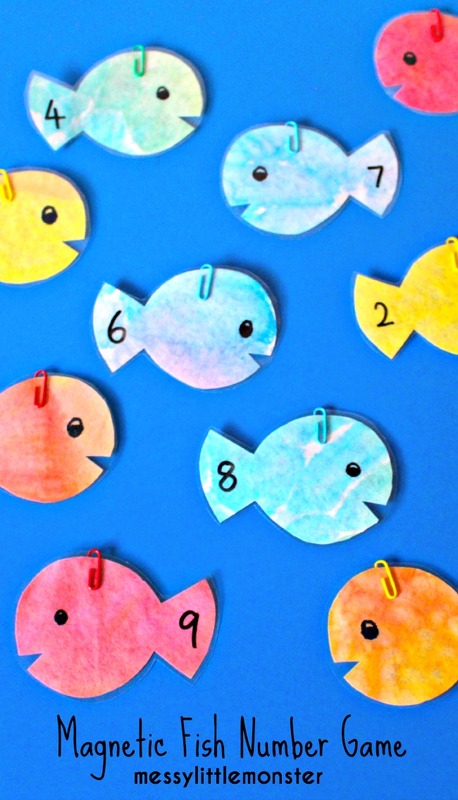 Kids will have fun singing, counting and ordering numbers as they catch the fish. It's rhyme time again. 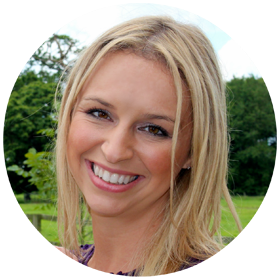 Todays nursery rhyme is '1, 2, 3, 4, 5 once I caught a fish alive'. 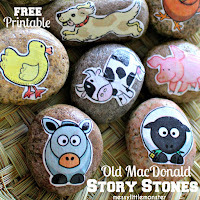 Click here to see the crafts and activities we have done for other nursery rhymes or scroll to the bottom for more fish ideas. We used coloured coffee filters that we had left from our colour mixing activity to make our fish, but you could use any card, paper or artwork. 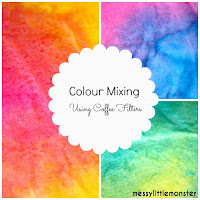 Click here to see how we made our coloured coffee filters. For the fishing rod attached a piece of string with a magnet on the end to a stick or long piece of wood or plastic. 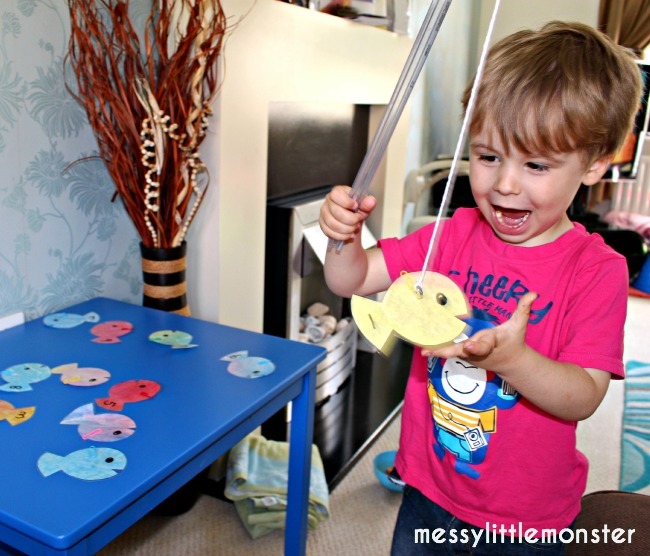 Lay the fish out on a table or the floor and catch them using the magnetic fishing rod. Read the numbers as you catch the fish. 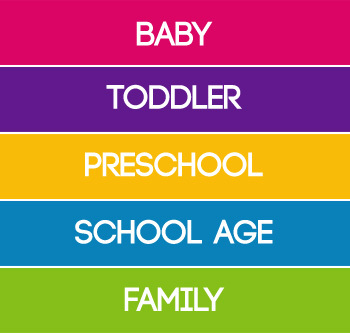 Decide which number fish to catch and then hunt for it before catching it. Catch the fish in order 1-10. Make 2 sets of fish and take it in turns to catch a fish until you both have 1-10. Make it a memory game by turning the fish upside down before trying to catch them. 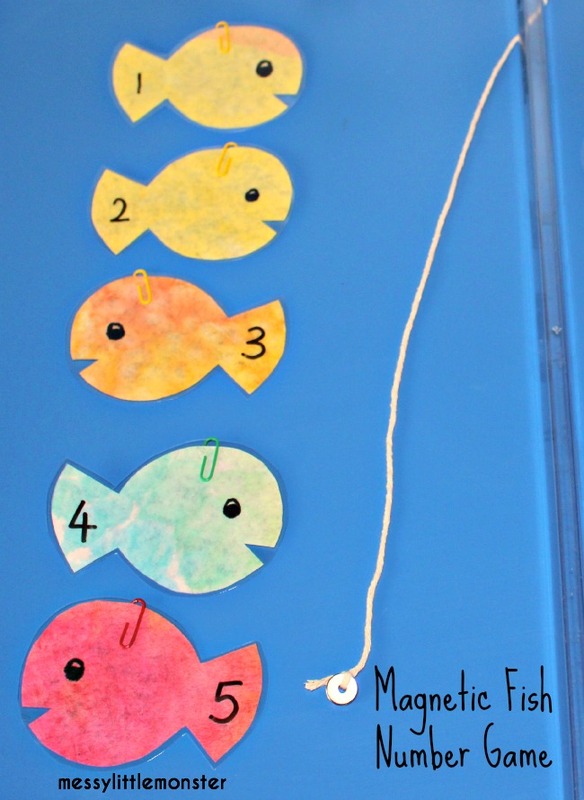 Sing the nursery rhyme '1, 2, 3, 4, 5 once I caught a fish alive 'and talk about the numbers in the rhyme and the order they are in as you play the game. 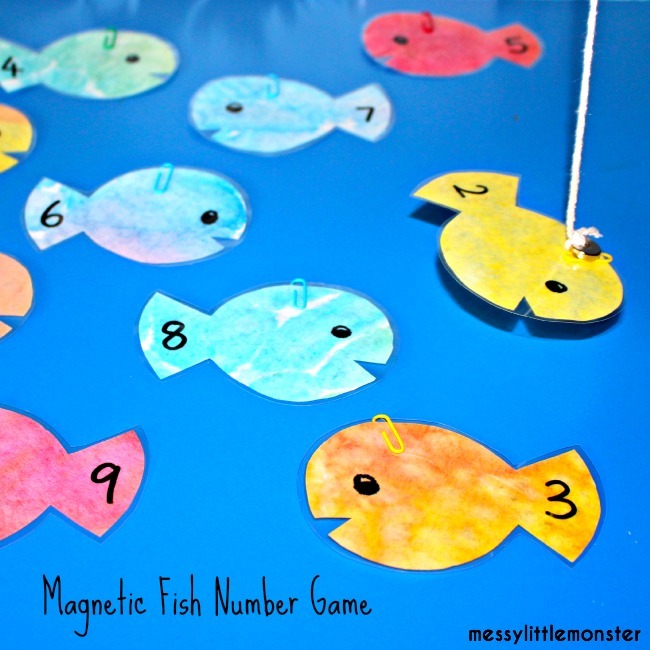 You could also use the fish to learn higher numbers or to learn letters or keywords. 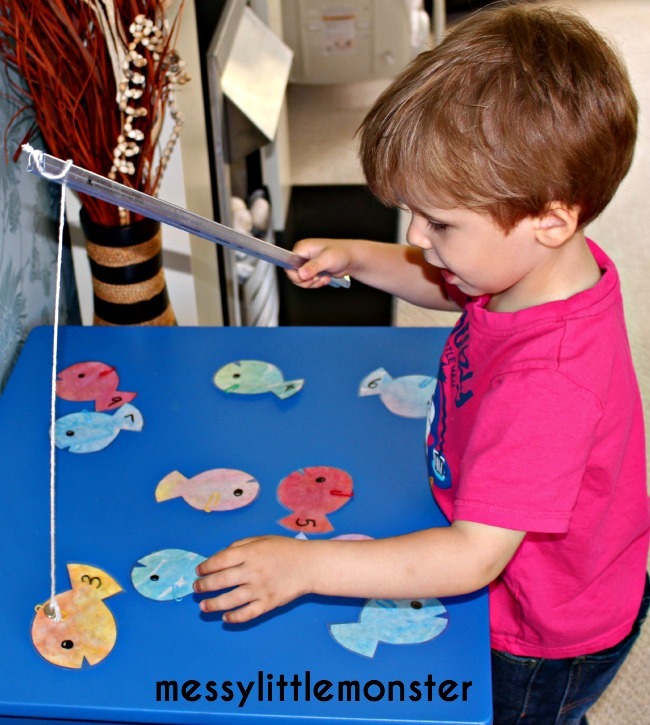 The fishing rod is perfect for letting little scientists experiment with magnetic/ non magnetic objects too.